Here are two interactive magnetic boards that you can use with your young students. Use the Magnetic Letter Board to create words. 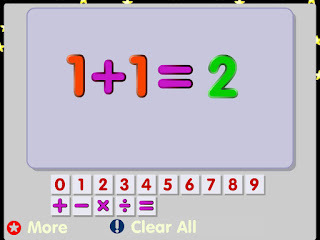 Then try the Magnetic Number Board to practice math equations and number recognition. These great resources are from Big Brown Bear Software. Fantastic for the interactive whiteboard! We are using Fundations for the first time this year (for phonics) and the letter board will really help students get the concepts down as we work through things.